It's the middle of the month again, by this point everyone should know the drill: Criterion has once more managed to outdo themselves with another batch of supremely surprising announcements that are sure to be among the best of the year, and certainly ones that I wouldn't have expected from the prestigious collection. But, if there's one thing that Criterion has taught us, it's to expect the unexpected, and here we are yet again. Let's dive into what Criterion has coming up this time around. Not to be confused with Lars Von Trier's Europa (which was released the following year and, incidentally, is also part of the Collection), Europa Europa is another example of a little-known release that hopefully Criterion will be able to amass a wider audience for with their boutique release. Based on a true story, the film follows a young Jewish German as he travels to various locales and blends in with the environment and beliefs in order to hide his ethnicity: going from a Soviet orphanage, to a Russian interpreter for Germany's army, to right in the middle of the Hitler Youth movement. Criterion's site describes it as "a breathless survival story told with the verve of a comic adventure, an ironic refutation of the Nazi idea of racial purity, and a complex portrait of a young man caught up in shifting historical calamities and struggling to stay alive." So, definitely a day one pickup for me, considering this is likely going to release during the semiannual Barnes and Noble sale. A long-awaited and more than welcome return to the Collection, Rainer Werner Fassbinder's BRD Trilogy was out of print for years, subject to merciless scalp pricing and only available on their streaming service for a time. Not only are two of the three films (The Marriage of Maria Braun and Lola) now being released in shining new 4K restorations, but also the set is finally making the transition to the blu-ray format (although the DVD set is not returning). It seems like Criterion is starting to focus on releasing at least its box sets (for now) strictly as blu-ray releases- no doubt to suppress the overall cost of manufacturing both versions of the release at the same time. Perhaps this will signal an eventual return for Pandora's Box to the collection as well, with a fresh coat of paint to boot? (I wouldn't hold my breath on Chungking Express for now, though, that seems to be more of a rights issue at the moment). Honestly, I'm surprised that it took Criterion so long to get an Alan J. Pakula film into their collection. With other low-key American classics like The Friends of Eddie Coyle and The Manchurian Candidate, I would have thought for sure that they would have gotten something like All the President's Men in there by now. 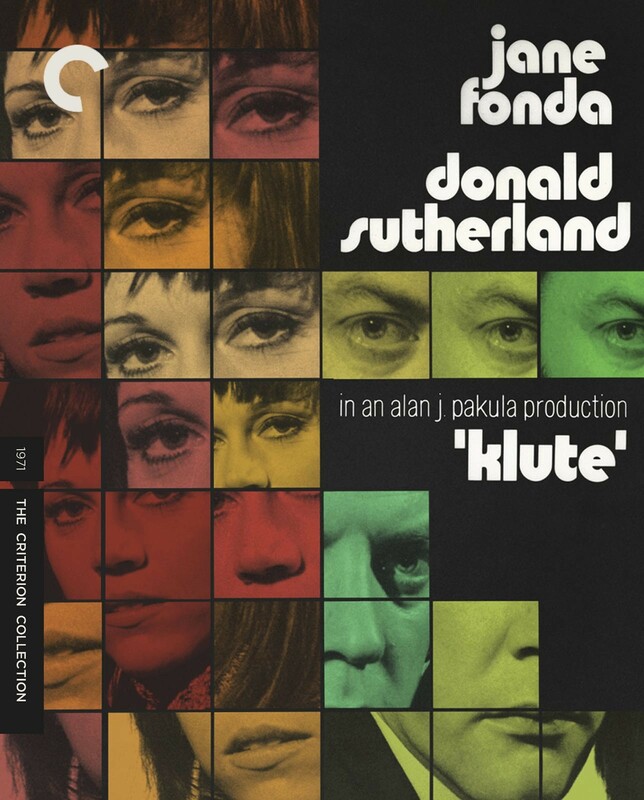 Alas, Klute is a film I am unfamiliar with, but am nonetheless excited to get my hands on at some point- especially with that tantalizing box art. With a new 4K transfer, this should be a pristine introduction for me in the future. 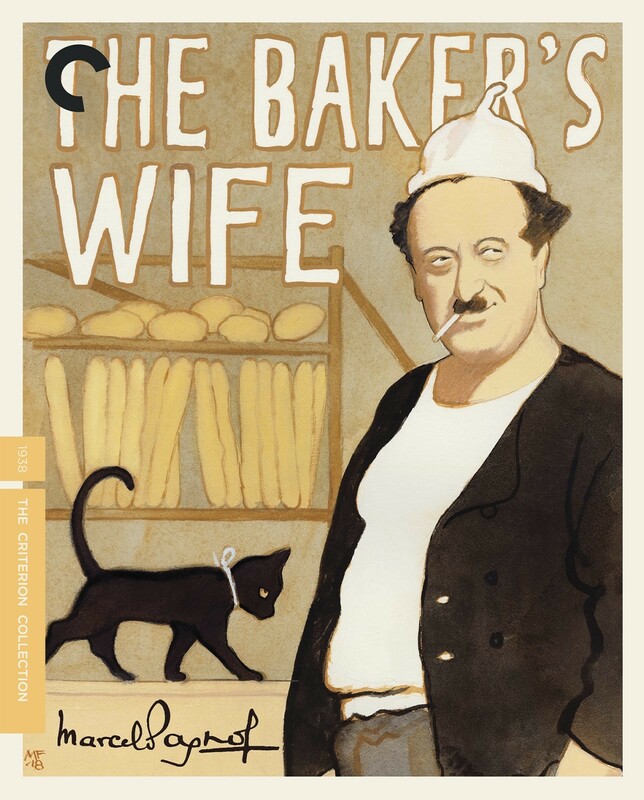 A French comedy directed by Marcel Pagnol from the late 30's, starring the popular French superstar Raimu (whom Orson Welles dubbed as "the greatest actor who ever lived"), The Baker's Wife runs at more than two hours, leaving me to wonder just how much this story is going to have to tell. This was another film that I surprisingly had never heard of (as well as its star), but the synopsis and runtime alone are enough to keep me interested in seeing what this one has to offer. This is likely another shining example of a hidden gem (for me, at least) that Criterion is getting out there for more people to enjoy and adore- with another new 4K restoration, that would appear more than likely to be the impending result. Also not to be missed is a new blu-ray upgrade for Spike Lee's Do the Right Thing, featuring a new 4K digital restoration and a new 5.1 audio mix on the blu-ray; a program from 2009 featuring Lee and members of the film's cast and crew; and a new essay by critic Vinson Cunningham. This is a packed month in an already astounding year for Criterion (let's face it though, when have they ever not really had a fantastic release year? ), so I once more find myself ever more eager for July to come and assault my wallet with Criterion's delectable new treatments. 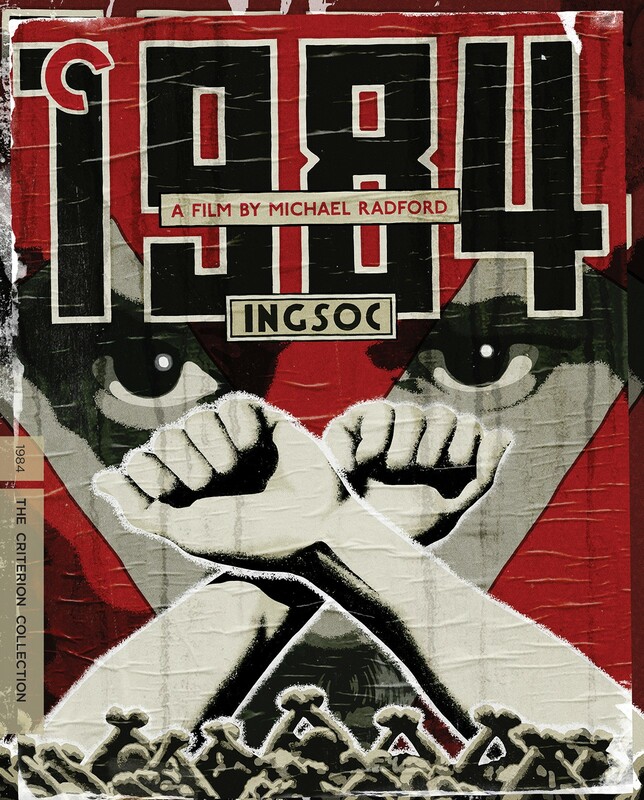 Until next month, I'll be counting down the days until I can finally see 1984 in all its glory.